For more than 50 years, Lindblad Expeditions has been setting the bar for expeditionary travel – and then raising it. Whether it is a trip to the Galapagos, Alaska, Iceland, or somewhere in between, Lindblad makes each carefully designed itinerary a truly exceptional experience for guests. 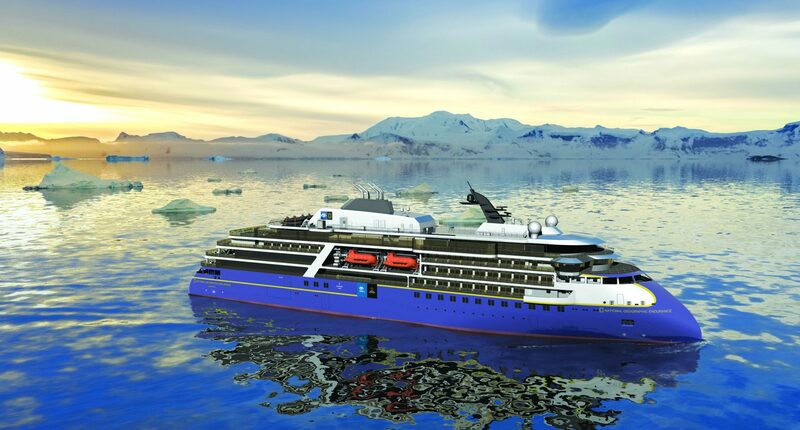 So when they announced a new ship, we knew it would be great…but once again Lindblad has gone above and beyond with the National Geographic Endurance. Get the scoop on why this ship is so impressive below and see why we’re chomping at the bit to experience it ourselves! The National Geographic Endurance isn’t just a normal vessel tweaked for polar exploration; it was purposefully designed and built for it. She has unprecedented technology features that allow her to visit unexplored areas, and she has the highest ice class of any purpose-built passenger ship. What does that mean for you as a passenger? “Off the beaten path” is the new norm and you are up close and personal with the wildlife and glaciers. Though the National Geographic Endurance was built for expeditions, she was also designed for comfortable luxury. 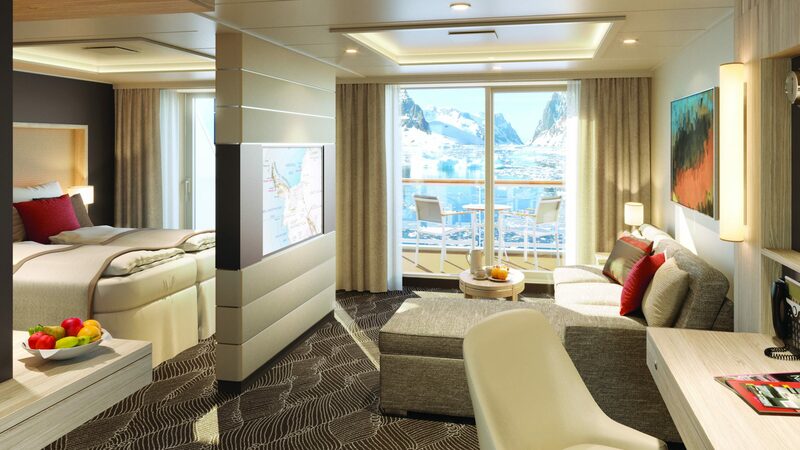 The ship has a clean, bright feel with plenty of public space for the 126 guests. And the Endurance has over 10,000 square feet of glass so you won’t miss the spectacular views while relaxing inside. The ship’s outdoor seating area is even heated so you can view the wildlife up close and personal while staying toasty warm. You may be in the some of the most remote areas in the world, but you won’t be without the comforts of home. 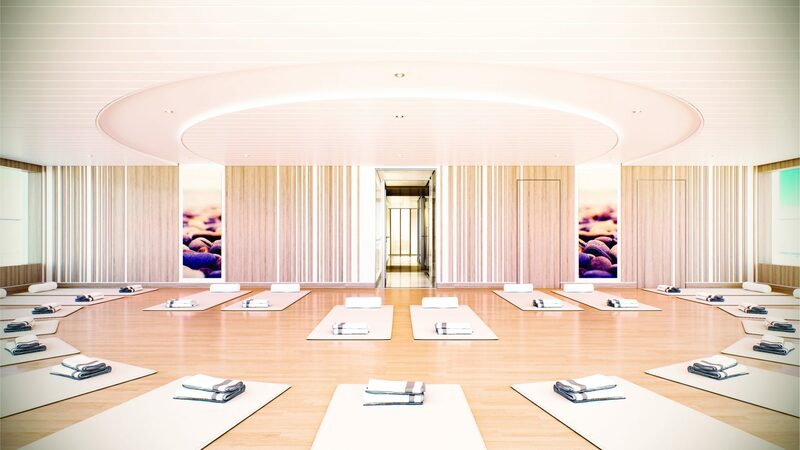 On board, there are multiple dining options including an intimate Chef’s Table, a relaxing spa, a gym, and a yoga studio. For exploration, the ship has a fleet of hyper-efficient Zodiacs, kayaks, snowshoes, cross-country skis, an ROV, underwater video technology and more. Whether you’re learning off the ship or relaxing on board, you will have everything you need! With Lindblad, you know it’s not going to be some run-of-the-mill trip with the same itinerary as everyone else – and the new National Geographic Endurance is no different. This ship will travel on the Northeast Passage (no, not the Northwest Passage…the Northeast! ), She will also explore Svalbard, Easter Island, Greenland, Iceland, and the Faroe Islands. And if Antarctica is on your list, you can experience a truly epic 30-day journey from Ushuaia to the Ross Sea. You’re on a sleek, custom-built ship, you have plenty of amenities for your journey, and you’re exploring some of the world’s most fascinating destinations. But what truly can make or break a trip are the guides, and with Lindblad you get the best of the best. From their naturalists to marine biologists to National Geographic photographers, you get a rare opportunity to learn from the industry’s most knowledgeable and experienced guides. Now do you see why we’re over-the-moon excited about the National Geographic Endurance? If you want to experience it for yourself, click here to contact an advisor and start planning your trip!